On NetGalley - Marked for Revenge! 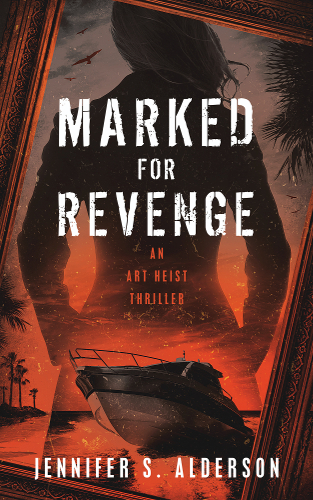 My latest novel - Marked for Revenge: An Art Heist Thriller - is on NetGalley this month! 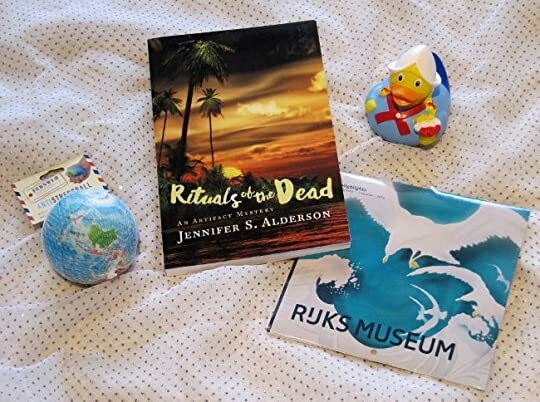 It's an adrenaline-fueled adventure set in the Netherlands, Croatia, Italy, Luxembourg, and Turkey about stolen art, the mafia, and a father’s vengeance. If you do read it, I would love to know what you think of it. Welcome to the family, Marked for Revenge: An Art Heist Thriller! I am excited to let you know the next book in my Zelda Richardson Mystery Series will be out this May. To make matters worse, a Croatian gangster is convinced Zelda knows where a cache of recently pilfered paintings is. She must track down an international gang of art thieves and recover the stolen artwork in order to save those she loves most. The trouble is, Zelda doesn’t know where to look. Teaming up with art detective Vincent de Graaf may be her only hope at salvation. The trail of clues leads Zelda and Vincent on a pulse-pounding race across Europe to a dramatic showdown in Turkey that may cost them their lives. 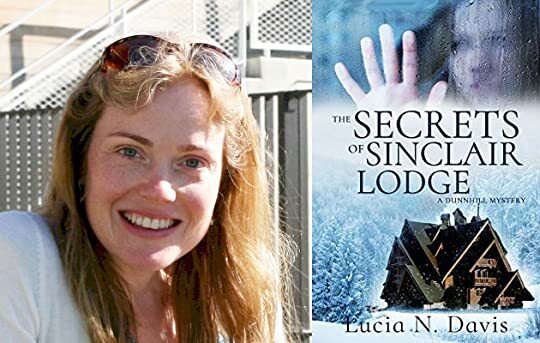 Caught between two cultures: how emigration influenced my writing by Lucia N. Davis - about her latest release The Secrets of Sinclair Lodge. 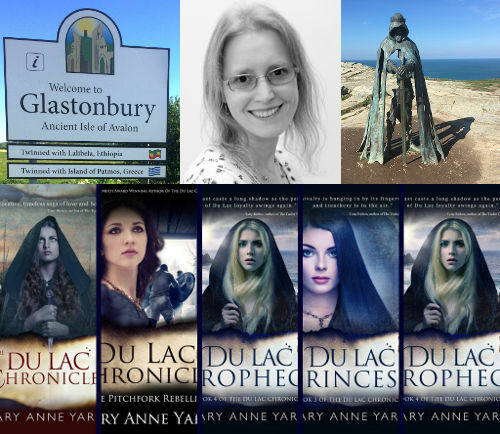 Spotlight on historical fiction author Mary Anne Yarde and her series set in Glastonbury. 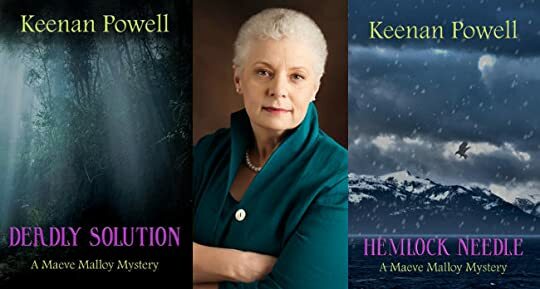 Spotlight on Keenan Powell and her mystery novels set in Alaska. 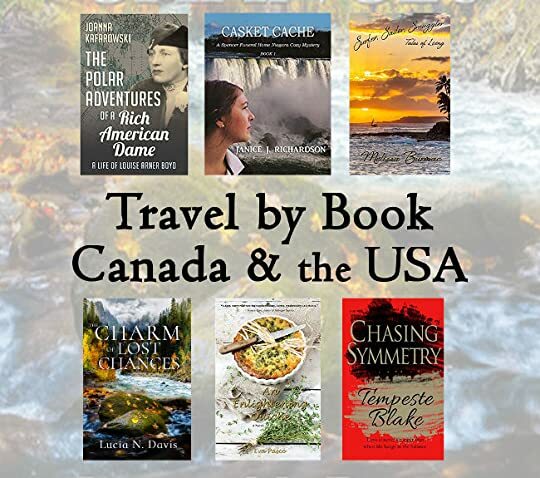 To celebrate the upcoming Thanksgiving holiday in the United States – and commemorate Canada’s recent celebration (on October 8) – I would like to share with you some great reads set in these two incredible countries. 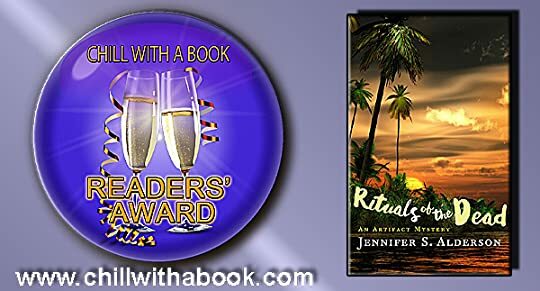 Take a break from the holiday stress and sail the world while surfing and smuggling drugs to Hawaii, solve a mystery in a Canadian funeral home, or find out how a quiche recipe sets off a baking rivalry in a Rhode Island mill town. Discover hidden secrets in the Northern Cascades, travel along with an audacious American polar explorer, or help protect an art professor from a murderer. Featured in this post are novels by Melissa Burovac, Lucia N. Davis, Joanna Kafarowski, Eva Pasco, Janice J. Richardson and Tempeste Blake. Read more about their books on my blog. 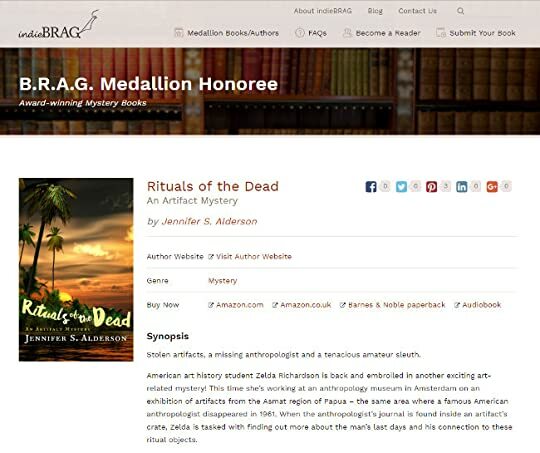 As many of you know, Travel By Book is a growing group of authors and readers who enjoy being transported to other destinations via fiction and non-fiction. If you enjoy reading books that take you places, join us over on Facebook. Before moving to Amsterdam, I knew very little about the restitution of artwork stolen by the Nazis during World War Two, a topic that plays a central role in my novel, The Lover's Portrait: An Art Mystery. Sure, I’d read about controversial cases in newspapers and wondered why museums didn’t hand over the artwork immediately when legitimate claimants appeared on the scene, but also why it took the relative of the legal owner so long to submit a claim. Only after moving to Amsterdam to study art history did I begin to understand the complexities involved, for both the claimant and the cultural organization or government tasked with caring for the artwork until the legal owner is found. As an art history buff, I was quite familiar with stories about the ‘Monuments Men’ discovering crate upon crate of masterpieces stored in castles, salt mines, and abandoned train carriages. 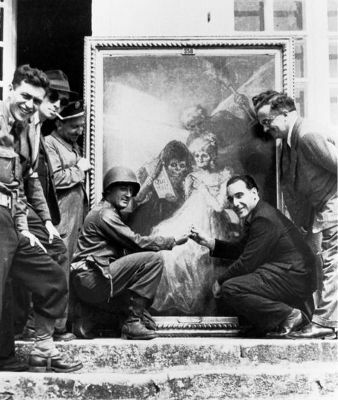 This international group of civilian museum curators, art historians and other cultural specialists were officially part of the ‘Monuments, Fine Arts and Archives Program’ (MFAA), recruited in 1943 by the Allied Forces to track down and recover hundreds of thousands of artistic and cultural treasures stolen from art collectors, cultural institutions, businesses and individuals all over Europe. These precious objects – sculptures, paintings, furniture, religious relics and artifacts – were brought to a series of collection points, where the ‘Monuments Men’ attempted to determine which country their former owners hailed from. In rare cases, documents were crated up with the artwork which clearly identified its last legal owner. However, the artwork’s destination was often based on a ‘best guess’ by the plethora of well-educated and well-meaning MFAA experts. But what happened after the artwork was returned to their suspected country of origin, in this case the Netherlands? Try to imagine it’s October 1945 and you are in Amsterdam, capital of the Netherlands. Five months earlier, the city was freed from five long years of Nazi occupation. Hundreds of thousands of locals are missing or dead. Many homes are empty shells; anything of value – from furniture to floorboards – has been torn out by desperate looters, leaving rat-infested ruins behind. The trams haven’t run in four years, not since the Nazis banned public transportation. And even if they were able to, any wood used to hold the rails in place has been torn up and burned for heating and cooking. Oil and gas are non-existent. Food has been rationed for years and most daily household products are simply unavailable. Many government offices have been closed for months, due to a lack of sufficient personnel and the resources to keep the lights on. And then from the far reaches of Europe, a plane full of precious artwork and artifacts lands at Schiphol airport on the morning of October the 8th. Days later, truck load upon truck load of irreplaceable paintings, sculptures, religious icons and relics, begin arriving at the Rijksmuseum, delivered into the chaos that was once the lively, well-organized city of Amsterdam. 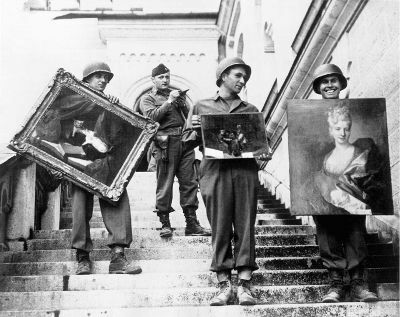 Despite all the hardships, the Dutch government organized the first traveling exhibition of looted artwork, entitled Dutch Artistic Treasures Returned from Germany, in the spring of 1946, in the hopes of reuniting these pieces with their legal owners. 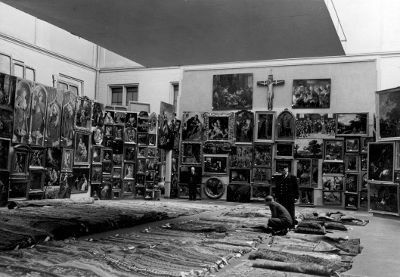 In 1950, the Rijksmuseum also organized a heavily publicized exhibition of all of the artwork still unclaimed. In order to claim their property, the claimants had to provide definitive proof of ownership in the form of a title transfer, purchase agreement, or a similar document. Considering the exorbitant value of many of these works of art – paintings by Rembrandt, Picasso, Matisse, Van Gogh, Frans Hals, and the like – the Dutch government wasn’t making an unreasonable request. Thankfully, many claimants were able to give their important paperwork to friends who weren’t considered ‘undesirable’ by the Nazis before the war broke out, or took them along when they went into hiding. They were the lucky ones. Too many more of those attempting to claim their property had lost everything during the war, literally. They were sent to concentration camps, their homes stripped clean and sold off, belongings stolen, clothes burned, and loved ones murdered. They had absolutely nothing and no one left. How could they fulfill the government’s seemingly simple requirement? Over the years, the thousands of yet unclaimed cultural treasures entrusted to the Dutch government have been spread throughout the Netherlands, lent to regional and national museums to care for and display. 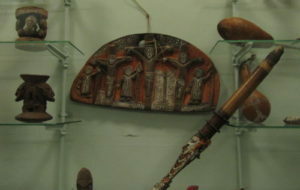 As time moves on, some of these objects’ backgrounds are forgotten and they are seen as part of the museum’s collection, not a looted object whose owner still needs to be found. Some paintings and sculptures even became the highlight of the museum’s permanent collection and grace marketing posters and gift shop items. Yet many pieces ended up in depots, never to be seen by the general public again. Fast forward to the year 2008. A shift in attitude had taken place a few years prior. Dutch museums and cultural institutions – as most of those across Europe – are now actively searching through their collections for works with a dubious provenance, earmarking any pieces which were potentially stolen from their rightful owners by Nazi troops or officers. This was a direct result of a shocking revelation in 1995 that several Swiss banks knew they held ‘dormant Jewish WWII bank accounts’ – as they would later be referred to in court documents – yet refused to return the money to the surviving relatives because the claimants couldn’t supply the bank with a death certificate. Those murdered in German concentration camps never received one, leaving the families powerless. Only after the World Jewish Congress took up the case on behalf of several Jewish organizations, were they able to reach a settlement with the banks in November 2000, which finally agreed to return money owed to the account holders’ relatives. Suddenly no institution – cultural or otherwise – wanted to risk being stigmatized as profiting from the atrocities of the Second World War. Museum researchers made tracing the histories of paintings, sculptures and relics with a suspicious past their priority. Newly-formed teams began the tedious process of reconstructing the provenance of artworks and objects, often searching through archives and libraries all over Europe to trace the paths these pieces had taken in their lifetimes. Simultaneously, museums were beginning to digitize their collections, for the first time allowing the public access to all of their objects, including the majority hidden in their vast depots. With all of this media interest and new information available, heirs began hiring private investigators and conducting their own research into these digitized collection databases, in the search of a loved one’s piece. Strangely enough, Hitler’s policies have aided both Dutch researchers and the heirs of the unclaimed artwork. Adolf Hitler held the Dutch people in high regard because he considered Germans and Dutch citizens to share a common linguistic and cultural heritage. That meant his troops weren’t officially allowed to seize art or cultural objects from Dutch citizens, as they were given free rein to do in other countries, with Poland probably being the most horrendous example of their unabashed looting. Here, they had to ‘purchase’ the artwork – often from owners who were placed under duress or were blackmailed into doing so – and create official purchase contracts for the transactions. The title transfers and purchase agreements created by the Germans became important aids for researchers working to find the rightful owner, and family members trying to claim their missing pieces. In most cases, the art and the owner’s heirs were reunited and both the museum and family found peace. Occasionally claims were fought by museum directors, who steadfastly asserted the painting or sculpture had been gifted by a reputable donor with the proper paperwork. These kinds of cases ended up in court and after long legal battles – more often than not – the claimant won. In exceptional cases, two or more parties have submitted seemingly legitimate claims on the same object or collection. These are the ones which garner the most media attention. Stories passed down from one generation to the next, fading photographs and old letters with vague references to the painting in question are all brought into play, argued over and re-interpreted by numerous museum personnel, documentation experts, and art historians before judgement is finally reached, always leaving one party certain justice has not been served and vowing to fight the claim to the bitter end. Author’s note: This is a brief summary of an extraordinarily complex topic. To find out more, I suggest reading any of the Dutch and English language resources I relied upon when writing The Lover’s Portrait, as well as this article. You can find a complete list in the appendix of my art mystery or here on my blog: ‘Interesting & Obscure WWII references’. 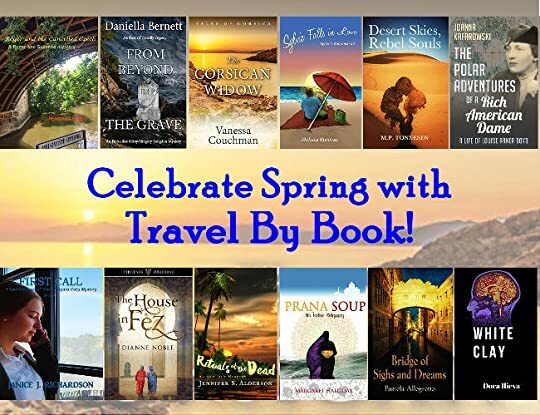 Celebrate Spring with Travel By Book! Spring is finally here, which means school holidays and summer/winter vacations are right around the corner! Whether you are already packing your bags or are still trying to decide where to go, let Travel By Book inspire you. 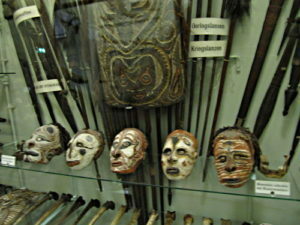 Featured in this post are mysteries, thrillers, romantic comedies, historical fiction, and romance novels set in Papua, the Netherlands, Italy, England, Hawaii, Corsica, Bulgaria, Greenland, Prague, Budapest, India, Canada, Israel, and Jordan. They are written by Jennifer S. Alderson, Pamela Allegretto, Daniella Bernett, Melissa Burovac, Vanessa Couchman, Margaret Halliday, Dora Ilieva, Joanna Kafarowski, Jerold Last, Dianne Noble, Janice J. Richardson, and M.P. Tonnesen. These fabulous reads are sure to motivate you to dig out your passport and start booking your next trip abroad!